4:2 yet in fact Jesus himself was not baptizing, but his disciples. 4:3 He left Judea and departed again to Galilee. 4:4 And he had to pass through Samaria. 4:5 Then he came to a town in Samaria named Sychar, near the place where Jacob had delivered his son Joseph. 4:6 And Jacob's well was there. So Jesus, being weary from his journey, sat down by the well. It was about noon. 4:7 There came a woman of Samaria to draw water. Jesus asked her, "Please give me a drink." 4:8 For his disciples had gone into the town to purchase food. 4:10 Jesus answered and said to her, "If you knew the gift of God and who it is that says to you, 'please give me a drink,' you would have asked him - and he would have given you - living water." 4:11 She said to him, "Sir, you have nothing to draw with and the well is deep. Where then do you get this living water? 4:12 You are not greater than our father Jacob, who gave us the well and drank from it himself, and his sons and his flock?" 4:14 but whoever drinks the water I will give shall never thirst. Indeed, the water I give one will change within into a spring of water gushing up to eternal life." 4:15 The woman said to him, "Sir, please give me this water so I will not suffer thirst nor need to come here to draw." 4:16 He instructed her, "Go, call your husband and come." 4:17 The woman replied and said, "I have no husband." Jesus said to her, "You rightly state you have no husband. 4:18 For you have had five husbands, and the one whom you now have is not your husband: This you have stated correctly." 4:19 The woman said to him, "Sir, I see that you are a prophet. 4:20 Our ancestors worshiped on this mountain, and your people claim Jerusalem is the place where people must worship." 4:21 Jesus said to her, "Madam, believe me, a time will come when you will worship the Creator neither on this mountain nor in Jerusalem. 4:22 You worship what you know not; I worship what I know, for salvation arises from the Jewish prophets. 4:23 But a time comes - at any point - when sincere worshipers will worship the LORD in spirit and sincerity, for the LORD seeks such worshippers. 4:24 God is spirit, and those who worship Him must worship in the spirit, and with sincerity." 4:25 The woman said, "I know the Messiah who is called the Anointed of God [Messiah, Christ] will appear. When he appears, he will make all things known to us." 4:29 "Come, see a man who told me everything I have ever done; is this not the Anointed of God [Messiah, Christ]?" 4:30 They came out of the town and traveled to him. 4:31 Meanwhile his disciples urged him, saying, "Rabbi, please eat." 4:32 But he told them, "I have food to eat that you do not know." 4:33 Thus his disciples were saying amongst themselves, "No one brought him anything to eat?" 4:34 Jesus said to them, "My food is to do what pleases Him who sent me and to complete His work. 4:35 Do you not have a saying, 'There are yet four months, and then comes the harvest?' Behold, I say to you, lift up your eyes and look upon the fields that are brilliant for harvest. 4:36 Already one who reaps receives wages and gathers fruit for eternal life; so that he who sows and he who reaps may rejoice together. 4:38 I sent you to reap that for which you have not labored; others have labored and you have come from their labor." 4:39 From that town many of the Samaritans believed in him because of the testimony from the woman who said, "He told me everything I have ever done." 4:40 So when the Samaritans came to him, they asked him to stay with them, and he stayed there two days. 4:41 Many more believed because of his teachings. 4:42 And they said to the woman, "it is no longer because of what you said that we believe, for we have heard for ourselves and know that this one is indeed the deliverer of those in the material world." 4:43 After the two days he left from there for Galilee. 4:44 And Jesus himself taught that a prophet has no honor in his own country. 4:45 Then when he appeared in Galilee, the Galileans welcomed him, having seen all the things he did in Jerusalem at the Passover; for they also had been at the festival. 4:46 Then he went again to Cana in Galilee, where he had turned the water to grape juice.2 And there was a government official whose son was sick at Capernaum. 4:47 When the man heard Jesus had arrived in Galilee from Judea, he went to him and him and requested Jesus come and heal his son; for his son was near the time of death. 4:48 Then Jesus said to him, "Unless you people see signs and miracles, you just will not believe." 4:49 The government official said to him, "Sir, please come before my child dies." 4:50 Jesus replied, "Go - your son will live." 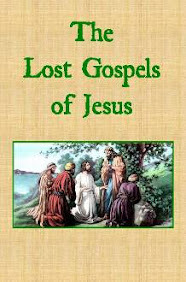 The man trusted Jesus' statement and departed." 4:51 As he was on his way, the man's assistants met him and told him his son was alive. 4:52 Then the man inquired of them the time when his son began to get better. They told him, "Yesterday at one in the afternoon, the fever left him." 4:53 Then the father realized this was the time Jesus said to him, "Your son will live." 4:54 This was the second sign Jesus performed after he had come out of Judea into Galilee. 1. Verse 4:9. The phrase, "for Jews did not associate with Samaritans" (NIV) was not part of the earliest manuscripts and is omitted here.